Most people associate Asbestos with high-risk trades such as shipbuilding, construction, power generation, and oil refining. News of Asbestos in Baby Powder is often met with shock and disbelief. The Facts: Asbestos and Talc are minerals extracted from rock. Deposits of Asbestos are adjacent to Talc deposits at many U.S. and international Talc mines. When Talc is extracted and processed it can become mixed with Asbestos. 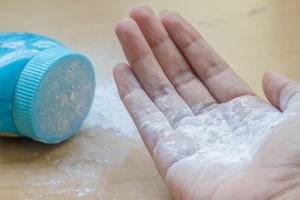 In the absence of appropriate testing by mines and end-product manufacturers, Asbestos-Contaminated Talc products such as Baby Powder, Cosmetic Powders, and Medicated Powders were sold to unsuspecting consumers, without any warning. In recent years, we have learned that Talc companies knew about Asbestos in source Talc and end products as early as the 1960s and 70s but failed to remove it or warn the public. Their response was, instead, a campaign of denial marked by opposition to more effective testing standards, attacking scientific studies, attempting to re-define “asbestos,” and, of late, public assurances of safety. Johnson & Johnson, manufacturer of the iconic Johnson’s Baby Powder, has dominated the Talc product market for over 100 years. Its sales outpace all competitors combined. 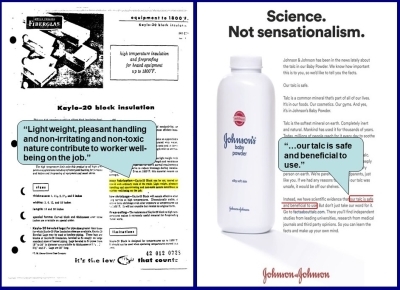 Not surprisingly, J&J is the main protagonist in the campaign to deny a link between Talc and Asbestos Cancer, in both the media and the courts. Worthington Caron, PC was involved in the first mesothelioma case against J&J in 1997 and has been part of the on-going effort to disclose J&J’s long-standing knowledge of Asbestos in its products. On this page, you will find a compendium of resources and news stories regarding J&J and Asbestos. Check back often for updates and Contact Us for more information. 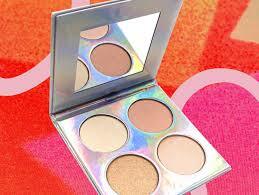 On Tuesday the U.S. Food and Drug Administration issued a Safety Statement and a Recall Alert after confirming the presence of asbestos in cosmetic powder makeup products marketed to young girls and teens, and sold by retailer Claire's. Please click here for the full article. The New York Times reports that in an SEC filing this week, Johnson & Johnson disclosed it had been subpoenaed by the Department of Justice and SEC regarding allegations that it led a decades-long campaign to cover up asbestos in Baby Powder and other talc products. Please click here for the full article. 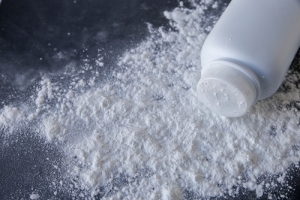 On February 13, Imerys Talc America, a major talc supplier for Johnson & Johnson, filed for bankruptcy protection amid mounting lawsuits claiming exposure to its talc causes mesothelioma and ovarian cancer. Imerys is routinely named as a co-defendant alongside cosmetic giant, Johnson & Johnson. Please click here for the full article. Unlike the pharmaceutical industry, the personal-care industry is essentially self-regulated. In fact, the federal government has not updated the laws regulating the personal care industry since 1938 when it was first enacted. In addition, the FDA does not require safety-testing on products before they hit the market and limits its oversight to adequately monitor products thereafter. 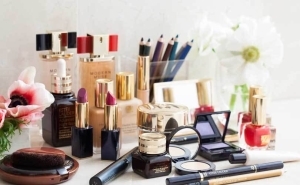 Over the years, chemicals linked to reproductive and developmental health issues found in nail polish, hair and skin products have demonstrated the need for new cosmetic regulations. 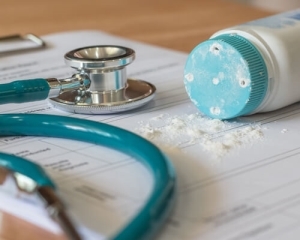 The recent headline-grabbing reports about the discovery and cover-up of asbestos-tainted talc represents yet another demand for full transparency and disclosure of toxic ingredients in products. Please click here for the full article. In the wake of the recent Reuters investigative report finding Johnson & Johnson knew about asbestos in its talc products for decades, the popular women's health, beauty and style publication, SELF, examined the health risks currently posed by talc products. Please click here for the full article. On January 30, 2019 Reuters reported that the National Health Ministry of Sri Lanka has banned imports of Johnson’s Baby Powder until independent testing of talc supplies proves the talc is asbestos free. 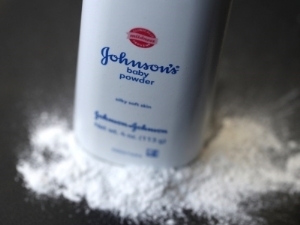 This move comes in the wake of a December 2018 Reuters Investigative Report finding Johnson & Johnson knew for decades its Baby Powder contained asbestos. Please click here for the full article. On January 28, 2019, the United States Senate took the monumental step of demanding that consumer products giant, Johnson & Johnson, produce documents and information relating to asbestos in J&J Baby Powder. California Jury finds Johnson & Johnson Baby Powder Contained Asbestos, was Defective, and its Risks were "Known or Knowable" to the Company. San Pedro, CA. 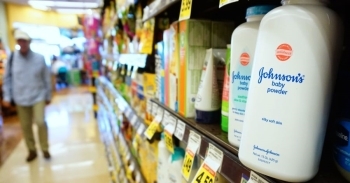 Johnson & Johnson has been waging an all-out campaign to rehabilitate its image in the wake of a December 14, 2018 report by Reuters News finding the company knew for decades its iconic Baby Powder contained asbestos. When the story broke, J&J shares fell 10% in one day, translating into a $40 billion loss. Please click here for the full article. 2019 is not looking bright for Johnson & Johnson. 2018 ended with bombshell news reports from Reuters News and the New York Times, chronicling evidence of J&J’s decades’-old concern about asbestos in baby powder which it hid from the public. The evidence was presented in numerous lawsuits J&J defended across the country in which it was asserted that asbestos in J&J products caused mesothelioma and ovarian cancer. The news sparked investor concern leading to J&J’s biggest drop in market value in a decade. Please click here for the full article. It was deceptive then, and it’s deceptive now. That same company, Owens Corning Fiberglas, eventually filed for bankruptcy protection. We’ve seen this before. Please click here for the full article. In an update to their bombshell reporting on Johnson & Johnson’s history of asbestos tainted talc, Reuter’s “stands by its reporting” as J&J continues to deal with the fallout of their PR nightmare and plummeting stock. 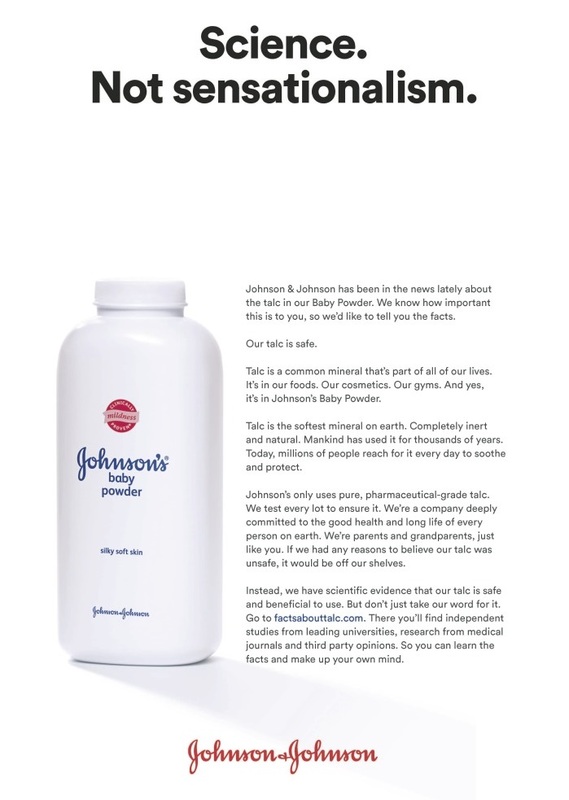 J&J has taken out full-page ads in major and local newspapers (click here to view the ad) asserting that talc is common, safe and beneficial. “If we had any reasons to believe our talc was unsafe, it would be off our shelves.” J&J CEO, Alex Gorsky, did an interview with the host of “Mad Money” on CNBC in an attempt to assure investors to have faith in their company and categorically deny any causation between talc and asbestos related illness. Please click here for the full article. On December 14, 2018, the New York Times published an article investigating Johnson & Johnson’s concern over asbestos in its Baby Powder dating back to the early 1970s. 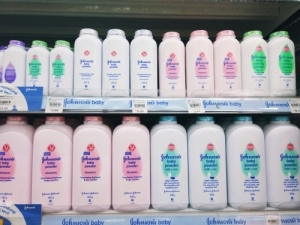 A concern which J&J chose not to share with regulators and shareholders, not to mention American consumers who purchase more Johnson’s Baby Powder than all other brands of Baby Powder combined. The New York Times article was published the same day as a Reuters News investigative report concluding that Johnson & Johnson “knew for decades that asbestos lurked in its Baby Powder.” News of the day caused shares of J&J to drop 10 percent. Please click here for the full article. Back in 1997, our client Darlene Coker was diagnosed with mesothelioma at the age of 52. With the assistance of co-counsel, Herschel Hobson, Roger Worthington and our firm investigated Darlene’s past for exposure to asbestos-containing products, the majority of which were used in industrial, commercial, and military settings. An operator of a massage school, Darlene had no exposure to these types of products. Darlene did, however, regularly use Johnson’s Baby Powder throughout her life. Having handled cases on behalf of hundreds of workers exposed to asbestos from industrial talc used in the making of tires, it was suspected that asbestos in Baby Powder was responsible for Darlene’s cancer. 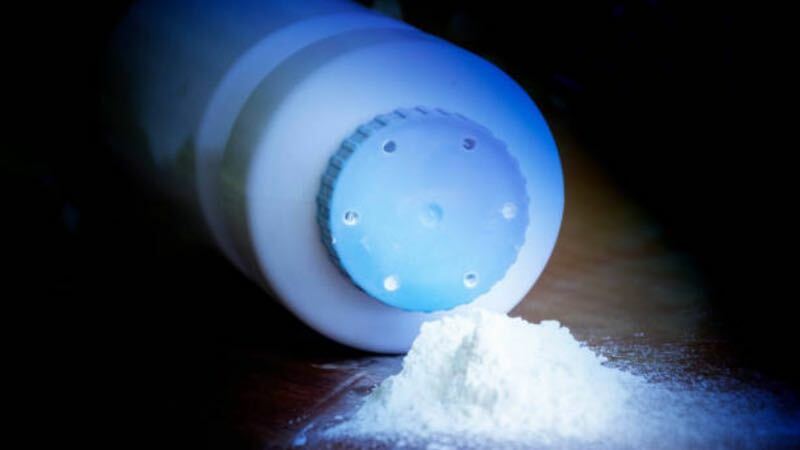 Research revealed that talc used for cosmetic talc products like Johnson’s Baby Powder, was sourced from the same mines as talc used for industrial talc. Also, reports from the testing of cosmetic talc, in general, revealed that many cosmetic talc products contained asbestos. Please click here for the full article.